Cannon Man is an arcade game on bestgames.pk in which you are in control of cannon to shoot out the Cannon Man as far as possible. When the game starts, there will be cannon appearing in the screen. It does not work well since its mouth moves up and down consecutively. You can click it to fix the position of the cannon’s mouth. Then there will be a meter in the screen to determine its shooting power or strength. The cannon are located on grassland with many trees growing around. When the cannon man is shooting out, he may fly towards the sky. You will see satellites, stars, helicopter, and clouds in the space. But if the man flies too far, he can not get back to the Earth because he is not an astronaut. Then the cannon man may fly to the city. You can see streets, buildings, and cars there. After that, the cannon man flies towards a snow world. You can see all is covered with snow and many snowmen there. The cannon man can bounce on the ground and go on flying. The farther the cannon man can fly, the more points you can get. Nitro Manics is a sport game presented on www.bestgames.pk. You are going to join a car race in this game. Tilt the car with left and right arrows or AD, press the up key or W to boost Nitro, and press the space bar to jump. Collect the bottles and coins on your way. The blue bar on the right shows your fuel. You can upgrade your car after each level in the garage. Now, try to be the leading car and win the game! Swordsman Steve is an action game. Use D key to jump. Press S key to attack. Click left and right keys to move. You can press any keys to revival when you fail. Go straight ahead. There will be more and more challenges waiting for you. Tips: avoid the enemy's attacking, you will get a better score. Wish you good luck with a harvest! www.bestgames.pk provides this free game. Have fun here! Ariel is a very unusual princess: now she is a human being walking on two legs, like you and me, but not so long ago she was a mermaid living in the depth of the ocean! Ariel likes heк human life, but she sometimes misses the sea. 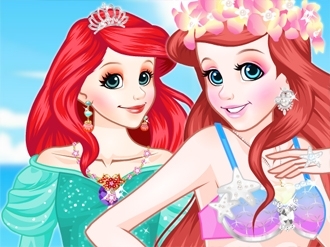 Dress Ariel as mermaid and as human! 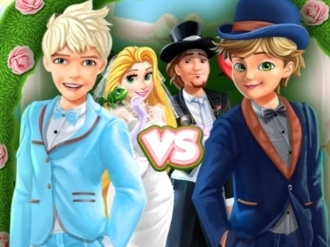 You have the chance to put your print on two wedding boys outfits and because you love the idea of getting fancy all the time you decided to help them in one of these dress up games. Make sure each groomsmen will be dress appropriate for this special event and do not forget to match their suits with the shoes and of course with a delightful masculine accessory that will contour his attitude and manners. Causality Saving Private Stickman is provided to you by www.bestgames.pk. Join this free adventure game to have fun. The task in this game is to kill all the stick-men. You are supposed to use mouse to finish this task. Click at the characters and objectives on the screen to trigger events leading to the death of the stick-men. Take advantage of the surroundings. One thing you must kept in mind: do not let any stick-man notice others’ death.